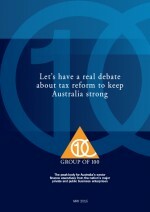 Streamlining Remuneration Reporting- a joint publication of PWC and G100. 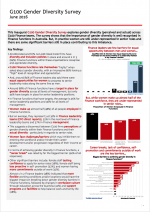 This inaugural G100 Gender Diversity Survey explores gender diversity (perceived and actual) across G100 Finance teams. There is a real risk future generations will live less comfortably than us. The third edition of this better practice guide, produced jointly by the Group of 100 and Deloitte, has been developed to provide general guidance in relation to compliance with ASX CGC Principle 7. 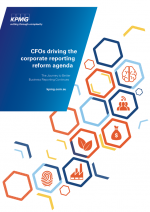 KPMG Australia's report outlines recent corporate reporting changes and trends to improve the information provided to the capital markets and how the CFO's role is essential in developing tomorrow's reporting strategy. 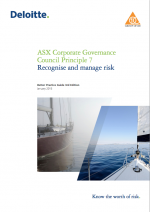 he ASX Corporate Governance Council has recently made changes to ASX Corporate Governance Principle 4. KPMG Australia's report discusses director liability concerns, 'flagship' reports, and the opportunities that recent changes can bring to both directors and their company. KPMG Australia's report looks at the revised ASX Corporate Governance Principles and explains why investors need to be involved in developing a corporate reporting environment that best meets their needs while helping to remove clutter, duplication and misalignment across reports. The Centro Property Group decision in the Federal Court in 2011 has thrown into sharp relief the roles and responsibilities of directors and most particularly their declaration that the financial statements are true and fair. 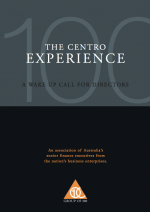 This guide provides background to the Centro decision. It identifies areas that directors should now be focusing on such as their involvement in, and review of, the Annual Report and the financial statement compilation process. 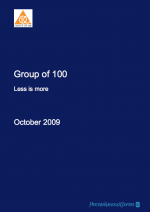 This publication by the Group of 100 and PriceWaterhousecoopers has been developed in response to Sir David Tweedie's request to develop a principles-based approach to determining disclosures. The G100 believes the time is appropriate to consider a principles-based framework and developing new disclosure requirements.